René Quenell is a master teacher, mother, traveler and true believer in the power of yoga to transform lives. René has studied with Yogarupa Rod Stryker for over 18 years and has received her Level III Para Yoga certification, Four Desires certification and is now the first Certified ParaYoga Nidra Teacher. A teacher of teachers, René currently serves as the Director of all Para Yoga Certification programs. She is also one of only six people in the world certified by Yogarupa to teach Para Yoga Master Trainings. A certified IAYT Structural Yoga Therapist, Ayurvedic Consultant and Reiki Master; René offers teacher trainings, master trainings, live and interactive digital workshops and private consultations around the globe and out of her studio, Yoga Madre in California. René is passionate about sharing the teachings of a living lineage where spiritual practice is an instrument for navigating modern life with grace and ease. With love and reverence for the teachings, she weaves together humor, joy and everyday wisdom to give students the tools to light their inner light, move toward self mastery and live a life that’s happy and purposeful. 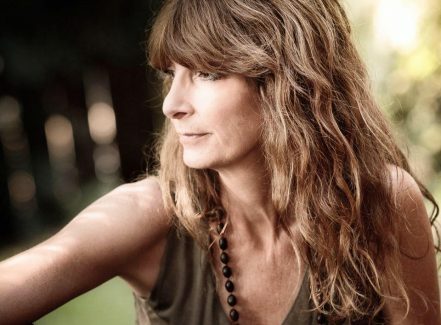 In addition to her work with Yogarupa, René also studies with Pandit Rajmani Tigunait, the spiritual head of the Himalayan Institute, where she was initiated into the Sri Vidya tradition. A devoted student and practitioner, René also supports the Institute’s work in the US, India and Cameroon. When she’s not teaching or traveling, René loves hanging out with her grown sons Jamie, John and Dylan. She can also be found exploring California’s Eastern Sierra with her husband Mike and their beloved pup Sula.